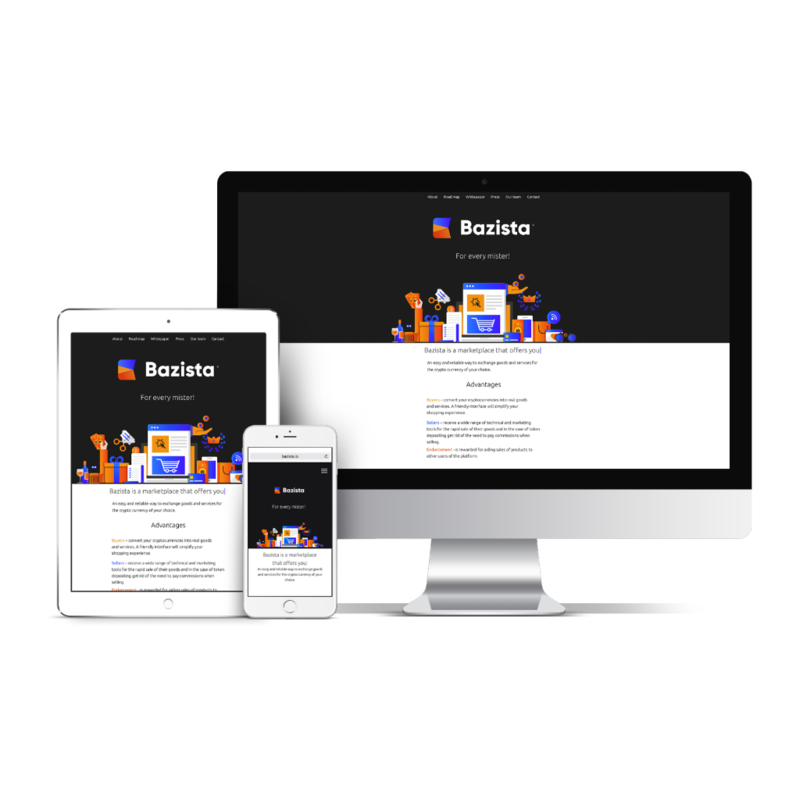 Bazista is an international marketplace empowering the ecommerce industry with digital assets aimed at creating an infrastructure for Bitcoin and blockchain driven community. A top 10 project selected by Humaniq Challenge is preparing for the finals and announces the pre-ICO stage—between November 16-21, making a total of 5 days which will allow everyone to get BZS tokens with maximum benefit and become Bazista early investor. Commissions collected by the platform for making a transaction are just 4% of the final cost of the goods. Placing goods on the Bazista platform will allow reducing costs due to low commissions or commission-free transactions by depositing BZS tokens on the account balance. Promoting ads of other users by simply placing links to products with their UTM tag will allow to earn with Bazista. Affiliate remuneration will be deposited if any one will buy a product or a service using affiliate link. “Bazista team believes that it’s the true meaning of blockchain to create a community-supported network of services, which would enable us to operate more efficiently in terms of economic activity. We have hundreds of various cryptocurrencies with a total capitalization of over 150 billion dollars, we just need to provide solutions which are easy and comfortable to use.”—Vahtang Abuladze CEO of Bazista. The project introduces Bazista token also be called Bazi which is fully ERC223 compliant. It will be available for purchase with BTC and ETH. Ticker token: BZS. Exchange rate: 1 ETH = 11 000 BZS. Base token price upon the launch of the crowdsale will be set to $0.03. ETH/USD and BTC/USD exchange rate will be locked based on November 16 (Pre-ICO) and December 2017 (ICO start) market exchange rate and will be valid for the entire time of the crowd sale/pre-ICO. The total number of generated BZS tokens is 440 000 000 and proportionately distributed for the development and realization of the project. Bazista will offer 45% bonuses reserved for pre-ICO. Bazista tokens that won’t be sold during the pre-ICO round will be added to the larger amount offered during the main round of crowd sale. The exchange of Bazista tokens will occur only on Ether (ETH) and Bitcoin (BTC). For more information about Bazista’s crowdsale, and how to participate in their ICO offering, visit https://bazista.io.